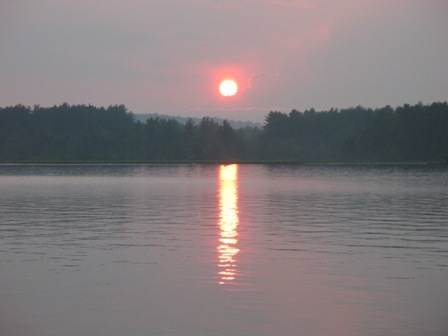 Buying A Lake Retirement Home in New Hampshire Call Us! In past articles we discussed what to look for in a lake property. A quick review of the highlights . Our office quote is " buy the lake first, you can always change the home"
The home you would be looking for would have 3 bedrooms, 2 bathrooms, a sandy walk-in beach, southwest exposure, an oligotrophic lake, docking, mooring, private location and close enough to town for essentials including a hospital. The above would be the ideal home but you may find the home that fills your needs has a rocky shoreline with great fishing. So why buy in New Hampshire, our license plate logo tells it all, Live Free or Die. We don't have a sales tax or a state income tax. Government is supported on the local level by property taxes and corporate business taxes. This link may offer some additional insight to the NH advantage. New Hampshire is funny we have what we refer to as tax donor towns. These towns are well managed and property rich. They actually send money to the state to support other towns school systems. In a donor town you can buy more home because you will be paying less in taxes. So you're ready to buy a lake home in NH and want it to be located on one of the larger lakes, with a three bedroom home, southwest exposure and a sandy beach. Pick up the phone and call us at 1-888-737-5550 to assist in your search. We have 17 years of combined experience and can save you a ton of time and frustration, we can direct you to quality homes on a quality lake so your visit to the area will be rewarding. We can also direct you to a lake in a low tax town so you are investing in your home not the town.